“The conference table was only so big,” Says Trump’s adviser Sean Spicer. President-elect Donald Trump left Twitter off the invitation list for a meeting of technology company executives because of a dispute over an emoji, Reuters and Politico reported. The reason behind Twitter’s exclusion from the meeting is its refusal to run ‘Crooked Hillary’ emojis during election campaign, a new Politico report claims. “Sean Spicer, the Republican National Committee spokesman, was the one who made the call to refuse an invitation to (Jack) Dorsey or other Twitter executives to Wednesday’s meeting,” the report said. Trump has invited executives from Google, Amazon, Facebook, Microsoft, Palantir, Tesla and others to talk tech on Wednesday. Controversial Paypal co-founder Peter Thiel, Donald Trump’s children Eric Trump, Ivanka Trump and Donald Trump jr as well as RNC strategist Sean Spicer were also present for the meeting. “The conference table was only so big,” Trump’s adviser Spicer later told to NSNBC and denied all other rumors. He told to CNN that Dorsey could join the group for follow-up meetings. 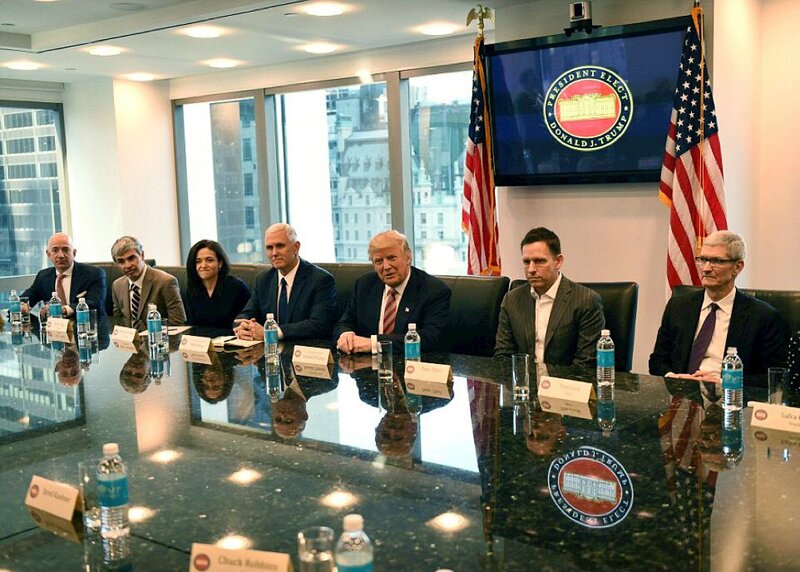 According to media reports, Trump himself joked at the beginning of the meeting that Thiel had told him not to invite certain companies because they weren’t big enough. However, Politico suggested that the snub was a calculated response to an advertising dispute between Trump’s election campaign and Twitter. During the days prior to the election, Trump’s campaign had committed to spend at least $5 million on Twitter and also wanted to introduce a custom “Crooked Hillary” emoji as part of that campaign. The emoji was initially supposed to be a hand holding a bag of money. After discussions with Twitter’s staff, the campaign instead settled on a stick figure running away with a bag of money. Eventually, twitter killed both emoji as any further emoji proposed by the campaign.